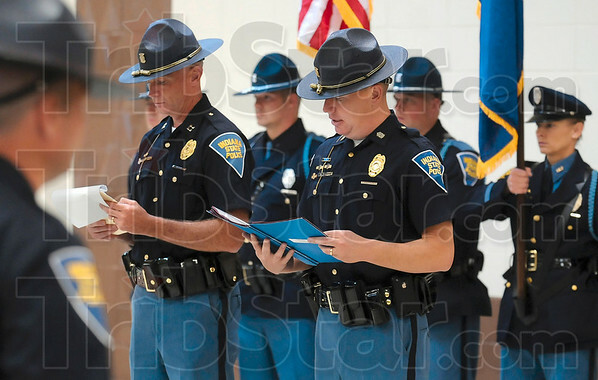 Roll call of sacrifice: Indiana State Police F/Sgt. Matt Mischler, right, commander of the Terre Haute post, reads aloud the name of one of 45 troopers who were killed in the line of duty during a memorial service Wednesday at the operating engineers union on US 41. At left is Capt. Danny Price.